We work with you to determine what works best for your school. You can hold a 1-2 day event or up to a week or two long, depending upon your needs and our availability. Yes, we send posters out to your school a couple weeks in advance so you can start to build excitement among your students about your upcoming event. When we arrive to set up your event we bring a large banner for your front fence. We also provide templates for flyers, Student Wish List forms, book marks, clipart and gift certificates. What preparations do we need to make before the event? You should select a high traffic area where you would like to hold your event and make sure that all surfaces to be used are cleared off and any furniture or other large items are moved out of the set-up area. Also, if you plan to do any decorating on the outer walls it should be done prior to the rolling carts being set-up to make access easier. How and when do the books get delivered? Our truck brings the books on the day and time you would like set-up. The books arrive in our easy-to-move rolling cases along with boxes of additional product for tables. Our professional staff works with you to set-up the event to your specifications. Provided the area has been cleared out and prepared in advance, the process usually takes about 2 hours. Do we need to provide tables? Yes, it is usually good to have from 3 - 6 tables available. You will need a table for your check-out and small cash register items (pencils, erasers, sharpeners, etc.) Then you will need 1 � 4 tables for the additional product that we bring in boxes. Do you have tablecloths for the tables? Yes, we provide enough tablecloths to cover all the tables at your event. Do you provide a cash register? Yes, we bring a cash register when we set-up your event. We also bring start-up cash consisting of rolled coin, ones and fives to help ease the burden of your volunteers having to run around and get change. We bring between $100 and $200, depending on your past sales. If needed, and depending on availability, we can provide an additional cash register for your event. Yes, we accept Mastercard, Visa and American Express. You will be provided with a credit card machine in order to process credit sales. How does the accounting work? All cash and checks from the event will be run through the school and all credit card charges will be processed by California Book Fairs. All checks should be written to your school's designated organization. At the end of each sales day you will add up all checks, charges and bills and put the amounts on the Daily Count Sheet. The charges from the day will go into the Daily Count Envelope - also provided. Please take a picture and text it to 805-328-8725. You can keep all the coins and enough 1's, 5's and 10's to start your cash drawer for the next day in the bank bag provided. All money should be safely secured in the school safe or other secure area at night. The Daily Count Envelopes will be picked up at the end of your event. Do you have a program for parents to buy books teachers would like for their classrooms? Yes, we have a wonderful Classroom Wish List program. We bring boxes labeled with your teacher�s names and grade levels, then you host a preview time where teachers can come through and fill up their boxes with books they would like to have for their classrooms. 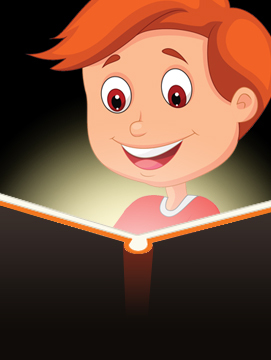 Parents can then purchase a book from the teacher�s wish box and have their child deliver it directly to their teacher. We provide a book plate for the inside cover where the child can write who the gift was given by. What happens if we run out of a book? If you run out of any item at your event you can simply contact your representative, and provided we have more of that title in stock, she will get them to you as quickly as the next day. Sometimes even sooner! How do we get our profits? 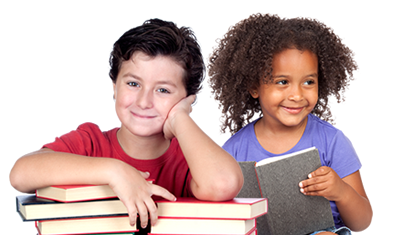 We will create a sales recap that will show your school's book fair profit and provide an itemized invoice. We gather this data from the daily count envelopes provided upon our setup. As long as you are sending over your daily totals, we will have your financials completed by the following week. An invoice will be emailed. Your profit can be taken in Cash or Books or a combination of both! Remember your cash will go twice as far using the Book Option because profits are doubled when you choose books 100% of what is owed. What do we do when the event is over? You will have arranged an ending date and a pick up time with your representative. The truck will come pack up and take the event away for you. Your representative will usually be there for pick-up and will help you with any final accounting you have.